Phyllis Jean Corbin of Dewar passed from this life to be with her Lord on Thursday, April 11th, 2019 in Henryetta at the age of 80 years. 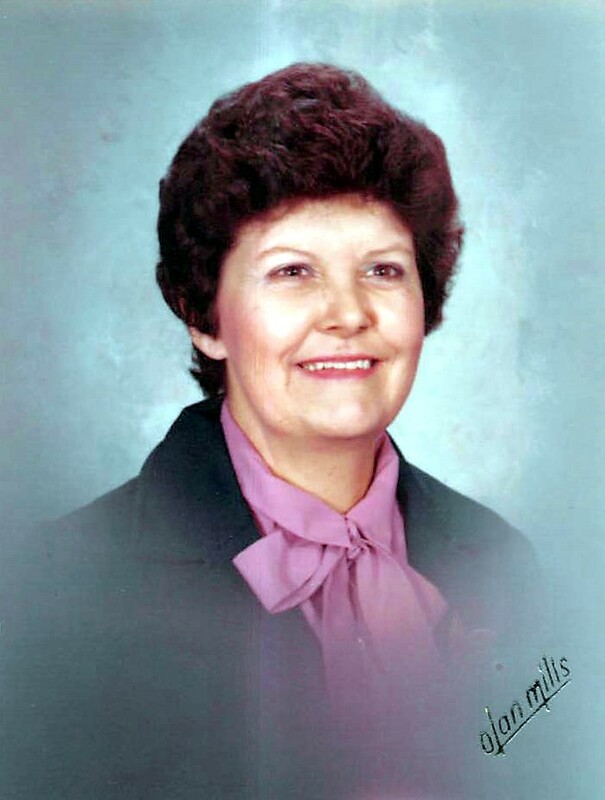 Phyllis was born on November 28, 1938 in Okmulgee County to the late Jack Morgeson & Jessie (Gonderman) Morgeson. She attended Dewar Public Schools until the time of her marriage in 1955 to the love of her life, Glynn D. Corbin. To this union three children were born, Glenda, Donnie, and Annette. Phyllis attended and served in the First Baptist Church of Dewar where she taught Sunday School for many years. She enjoyed hours of studying the Bible and preparing lessons for her Sunday School Classes. Her hobbies included crappie fishing, ceramic work, cooking, playing cards, and most of all attempting to set the land speed record between Dewar and Tulsa on parts runs for Glynn. Together, Glynn and Phyllis owned and operated Henryetta Refrigeration for which she worked as bookkeeper, receptionist, and sales manager. Phyllis is preceded in death by two sisters, Dorothy Pittman and Jackie Watson. She is survived by her husband of 64 years, Glynn Corbin of the home, two daughters, Glenda Conn and husband Mark of Bartlesville, Patricia Annette Paden and husband Phil of Hoffman, one son, Donnie Corbin and wife Annette of Henryetta, eleven grandchildren and twenty-seven great grandchildren. As well as a host of friends and other relatives. Viewing for Phyllis will be from 3pm until 8pm Sunday and 8am until 11am on Monday at Integrity Funeral Service. Pallbearers will be her grandsons, Heath Corbin, Donnie Corbin, David Corbin, John Mark Conn, Timothy Rose, Aaron Rose, Phillip Paden & William Paden. Funeral services are scheduled for 2:00 p.m., Monday, April 15th at Dewar First Baptist Church with Rev. Ryan Wells officiating. Interment will follow in Paden Cemetery, Paden, Oklahoma under direction of Integrity Funeral Service.